Unmetric Discover is a great place for brands to explore new topics and upcoming events to find content inspiration for their social campaigns. 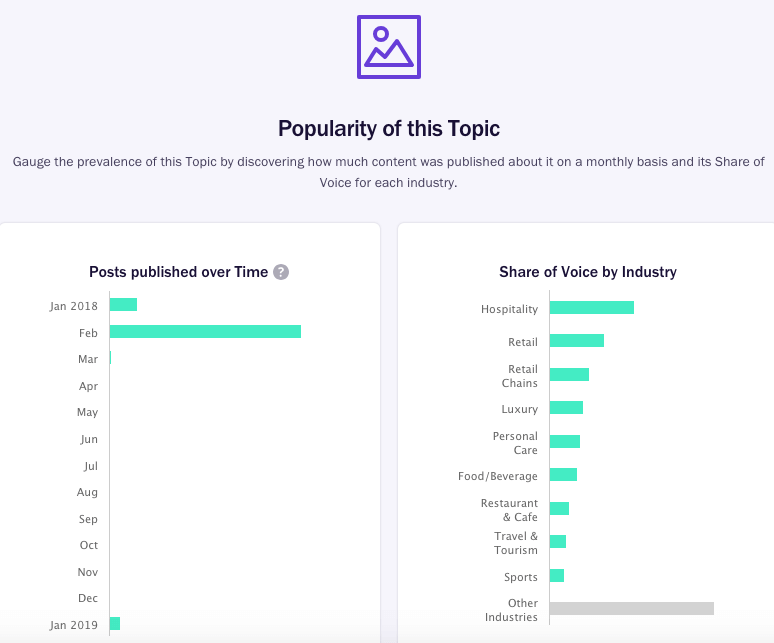 When you search for an upcoming event that you’d like to leverage or a topic that’s interesting to your brand or campaign, Discover helps you find all the content that brands have published on Facebook, Instagram, Twitter and Pinterest around the topic or event for over last 5 years. But what if you’re looking to dig a little deeper and do some content analysis? We have the answer with our brand new Analysis tab! This Word Cloud is generated by showcasing words and phrases brands have used when describing this topic. Click on a word or phrase to see content corresponding to it. 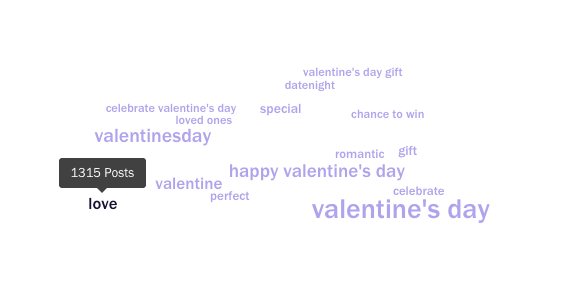 Use the Word Cloud to see what kind of language other brands are using in their content. We’ll show you interaction metrics for every Post/Tweet so you can see how well this content engaged. Find a bar chart showing how many pieces of content brands have published about a topic every month for the previous year. This chart shows you when a topic becomes popular on social media, giving you the chance to get a head start on your posting! See which industry is publishing the most content around a topic. Do you find your industry not posting enough about a certain topic? Perhaps your brand can be the first to post about it! If you are not a current user of Unmetric Discover, sign-up for a 3-day trial to get the full access to both branded content discovery and the analysis capability.